"Arbitrage Betting Course" is free online educational course for betting on sports arbitrages, also known as "sure bets". It contains more than 80 units that will give you all the required information to make you a successful sports arbitrage bettor and turn gambling into clever investment! ...then you are one step closer to get into the world of Sports Arbitrage Betting! Just sign up and start learning how to achieve all of this by going through the free course! We are practicing sports arbitrage betting since 2007 in the very beginning and our experience is huge. We are more than happy to share everything we know with you and get you prepared for the world of arbitrage betting where after our guides no one will get out of it without profit.Now there is an easy way to get started with our free arbitrage guides course. The video section is usually between one and five minutes and the content is explained in very attractive way. If you don't understand something the full script is given, and you can write to our support anytime if there is something unclear. In this section, everything is detailed explained with a lot of actual examples to make it easier to understand. At the end of every lesson, there is a part with test questions with the most important facts to check what you have learned and be sure that you know the most important things. The test is friendly and there will be no consequences if you fail the test. You can take it over and over again until you think it's enough. Detailed explanation of each step of the course you can find in the curriculum on the left. 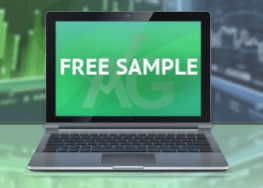 You have the opportunity to try all this for free and the only thing you have to do is just to sign up for the free arbitrage guides course and check how the complete one will look like. Don’t waste more time and get started with your sports arbitrage career! Let's turn gambling into investing! The information provided for OddStorm and arbitrage betting is perfect. I am expecting such for ArbMate. Let me know please when you have added such. Very good courses. The video examples helped me the most. I have placed few successful sure bets in the free version of OddStorm and now will move to the paid one. Can’t say how much this helped me… I followed step by step everything and it’s exactly as you said in your courses. It worked! Thank you very much! Short review: very professional guides, good support, great video examples. I have won 760 euros already after my first month arbing. Your guides helped me a lot to prevent making the most common mistakes that beginners usually make. Your course worth the money and I will recommend it to other beginners. Great work! I was amazed how easy is to make arbitrages and then I decided to take a look at your payed course. I was again surprised what terrible mistakes were going to make if I haven’t read your paid guides. Now I have already won 200+ euros with OddStorm and will keep going! Thank you Iliyan and I suggest this course especially to the beginners. It definitely worth it because it saves me money and time. Good job! Great course. It was very useful for me. Thank you all! We are happy to see that our work is appreciated and it actually help others! Please note that we are updating the information in the course frequently, making it better and better, so keep an eye from time to time to be updated with the latest news. Thank you all again and wish you happy arbing! I really enjoyed your unlocked course! Now I am arbing from 2 weeks and have already won 220 Euros! 110 euros more and I will cover both my Arbitrage Guides Complete Course and OddStorm’s subscriptions! My bankroll is not that big but I will definitely increase it to start earning more money than to cover my subscriptions. But it works and I am very excited! Thanks, Arbitrage Guides Team! For teaching me! All the information in your course was very useful! It the best ways to play on bookmakers !!! Very well-structured and detailed course. Buying the complete course to see how it’s gonna be. I was hoping for more detailed information for the middles but I think it is widely covered in the complete lessons. It gives a general sense of what is all about. A bit short but very well explained. What the bookies think about it? Which bookies should I use for beginning? How much money do I need to bet? Do I have to be fast? How big profit can I get? How much time do I need to learn how to bet? How many kinds of sports arbitrage are there? What e-wallet should I use? How to choose the right currency? What markets are you covering? What is Asian Handicap (AH)? What is European Handicap (EH)? Which market should I use? How many people are using sports arbitrage service? Do I need to download a special program? What is bet cancelation / Obvious error? How to avoid obvious errors and what if happens anyway? What is limitation and what if happens? How to avoid limitations from bookmakers? What is moving odds and what if happens? How to avoid moving odds? How to avoid technical error and what if happens? What is bonus-hunter and how to take advantages from bonuses? What abbreviations are being used? What is 3-way (3 legs)? What is 4-way (4 legs)? How often are you improving your service? Who can help me if I have any questions? Now what should I do to get started?